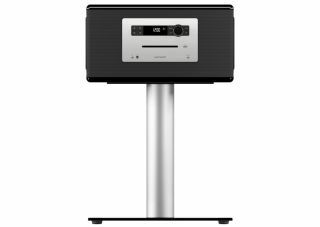 Sonoro introduces range-topping sonoroHiFi | What Hi-Fi? Sonoro has launched its range-topping (and slightly awkwardly named) sonoroHiFi system in the UK. It's an all-purpose all-in-one system. Its retro appeal is guaranteed thanks to its CD player, while it can stream wirelessly via aptX Bluetooth. Radio reception is handled by FM, DAB and DAB+ tuners, and there are RCA, 3.5mm and digital optical inputs too. There's also a headphone socket and a remote control. The speaker array is a three-way arrangement with a tweeter positioned between a pair of midrange drivers. At either end of the cabinet there's a subwoofer. These are all driven by a total of six power amplifiers. The sonoroHiFi is available in either a graphite or white-finished piano-lacquered wood cabinet, and will sell for £1300.